This suit is made 100% locally in New York of gorgeous recycled Italian Lycra and custom nickel-free hardware. 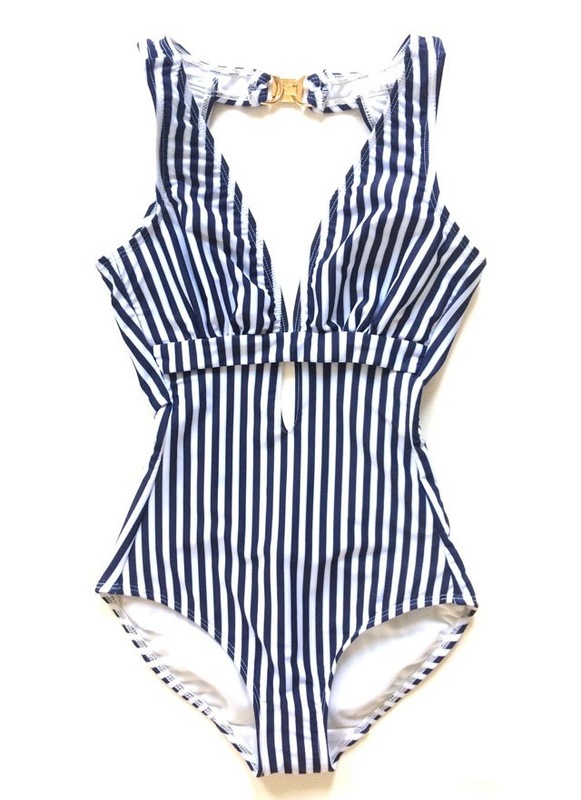 Shown here in our Navy Sailor Stripes print. If we are out of stock, please go directly to K Belo.